Vintage craft tools and supplies always excite me, whether they are completely different from what we use now, exactly the same, or something in between. And I recently played with two such tools that aren't all that different from more recent creations, but they were still the first time I'd used anything like them. 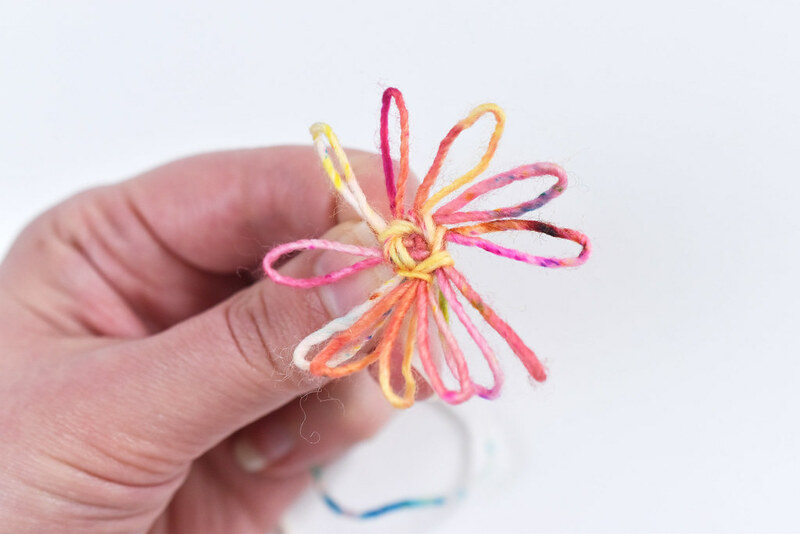 They are the Crazy Daisy Winder and the Weave-It pin loom. I have no idea how long I've had this Crazy Daisy Winder. Undoubtedly it belonged to one of my relatives, but this was the first time I remember paying any attention to it. Thankfully, the well-preserved box still held the instructions along with the incredibly well-made brass winding tool. It's pretty simple to wind one of these, and I love that they show you how to join them to actually use them for something. 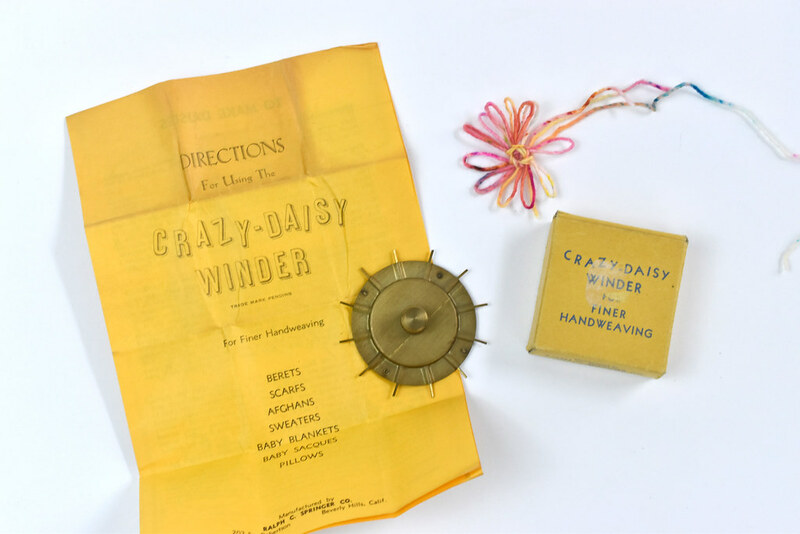 In fact, if you search for Crazy Daisy Winder on Ravelry, you'll still find a few patterns! They're sometimes used for shawls and tablecloths. But now, let's take a look at how this went for me! I used some extra Lemonade Shop sock yarn for my test. The wrapping process is very easy, although the weaving part gave me pause. Mainly because I wasn't sure if I had secured it enough. I probably overdid it, although it's also possible to add even more rounds in the center to create a different look. 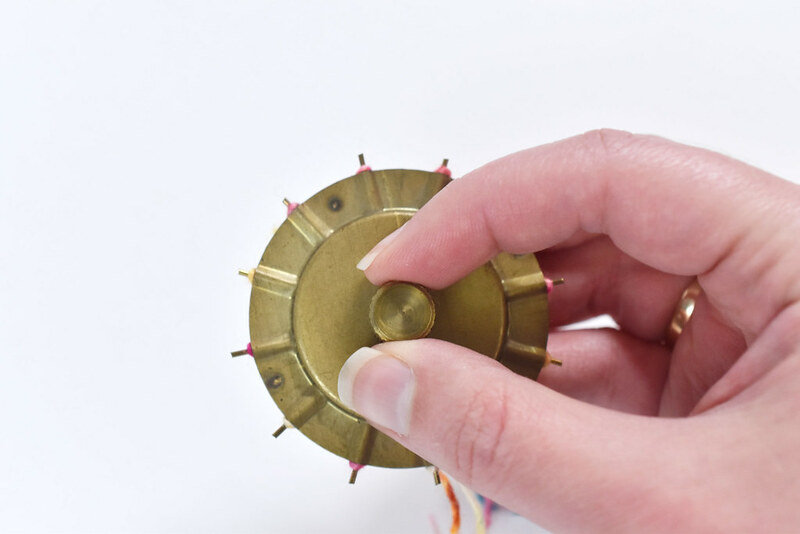 After the center is secure, you turn the little handle, which retracts the pins and releases the daisy. I find this part to be highly satisfying. And that's a finished daisy! I wouldn't call it a huge success, but it is a flower! This is a single daisy, and I have a feeling I'd like the look of a double one better. 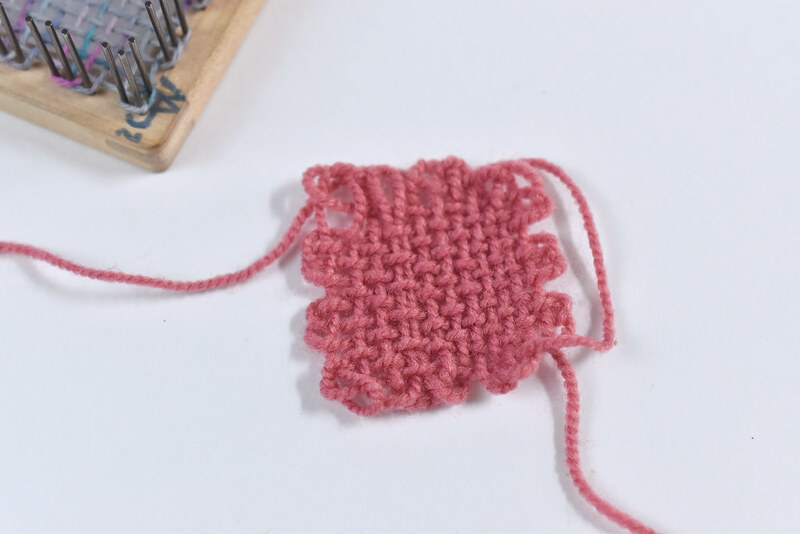 Using thicker yarn would also change the look. After my Crazy Daisy Winder experience, I jumped right into trying one of the Weave-It tools I inherited from my grandma. 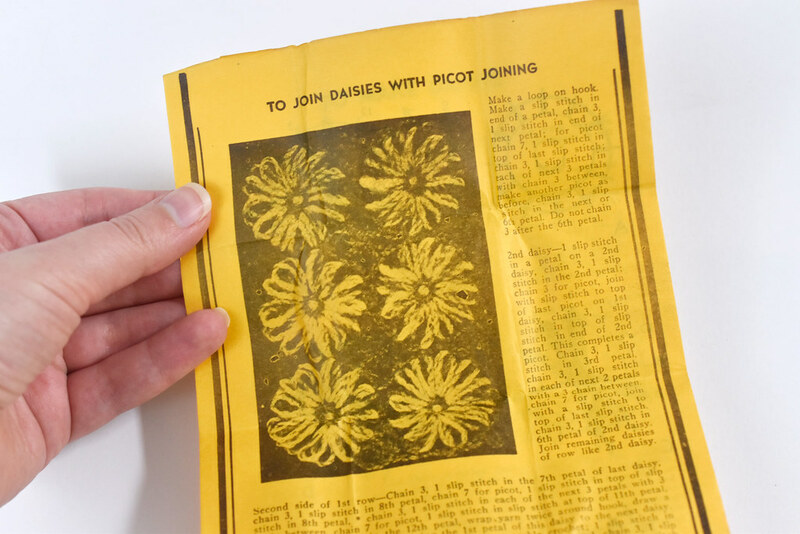 I've been fascinated with these since I was a child because I remember a drawer filled with this vintage WIP at my grandma's house. 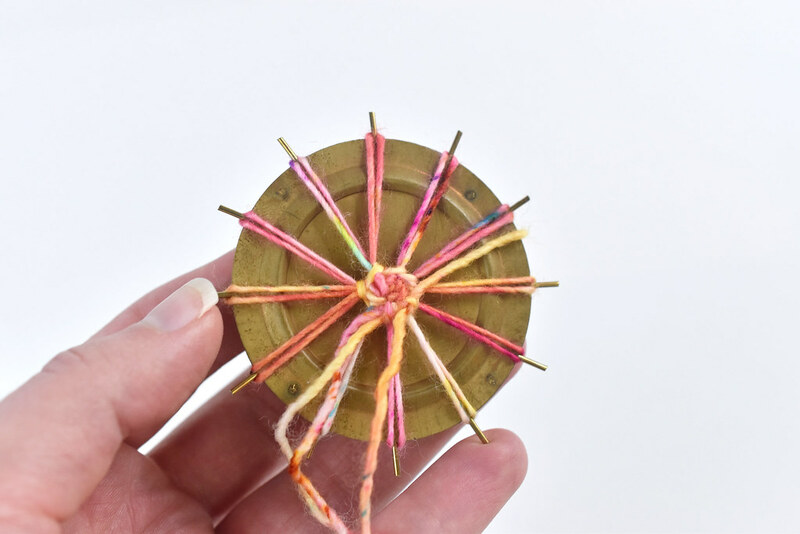 And the Weave-It pin loom was in there with it too. And of course, all the yarn needed to continue the project. Apparently these were actually extras or possibly a second Afghan because my mom tells me that another completed one exists somewhere. 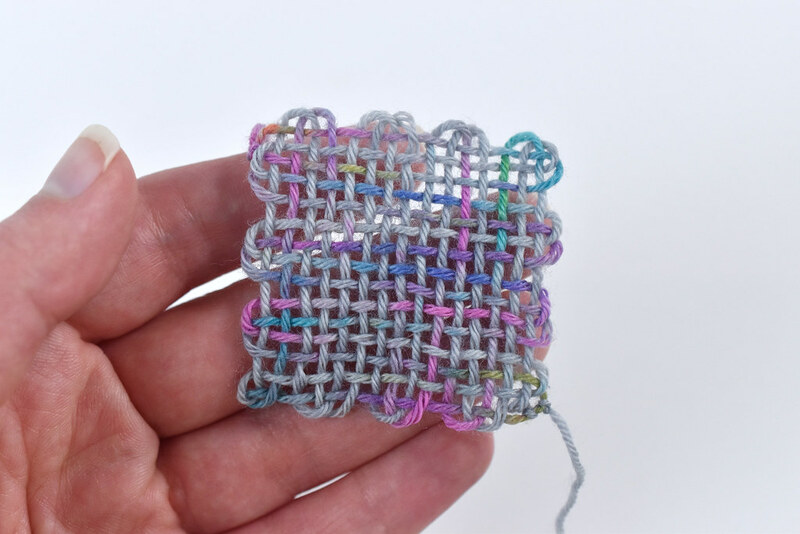 While I don't recall ever using one of these tools before, when I opened the Weave-It box, I found this little loopy square. It looks suspiciously like something a young Mollie would have made. Once again, I used sock yarn, which, as you can see when it's on the loom, is a little thin for this. Still, you can see the weaving for this purpose. 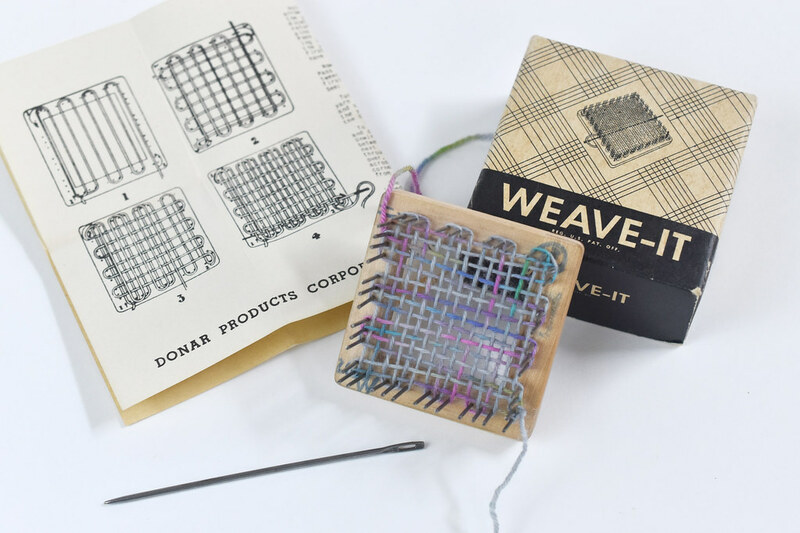 The Weave-It pin loom, by the way, is very similar to the Zoom Loom. And like the new version suggests, it is fast! 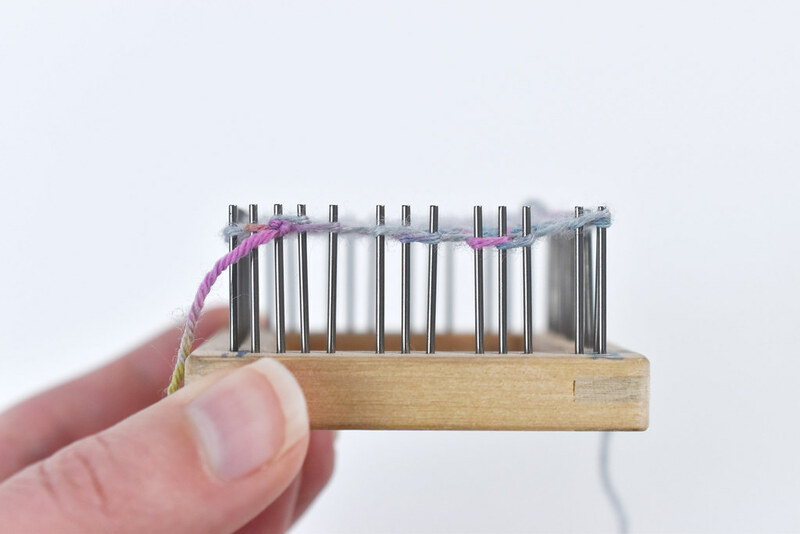 All you have to do is wind the yarn back and forth between the pins, and repeat that two times, rotating the loom each time. 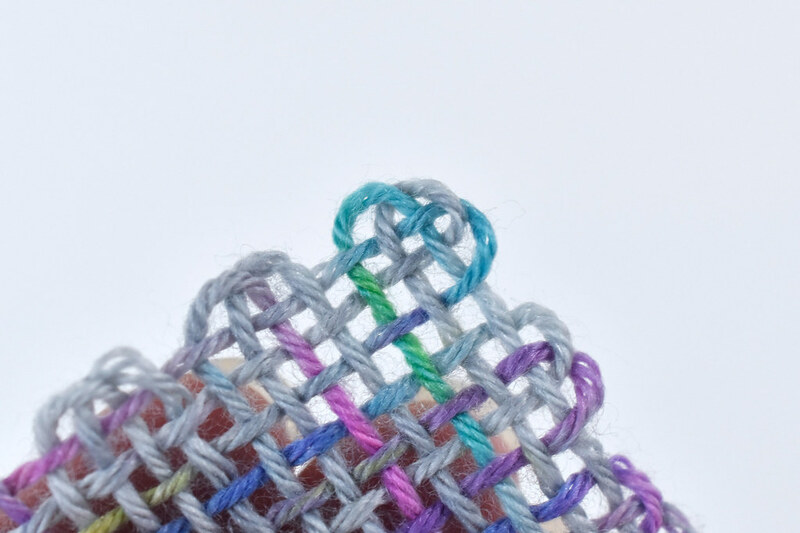 Finally, you weave the yarn through the layers to secure the weaving. 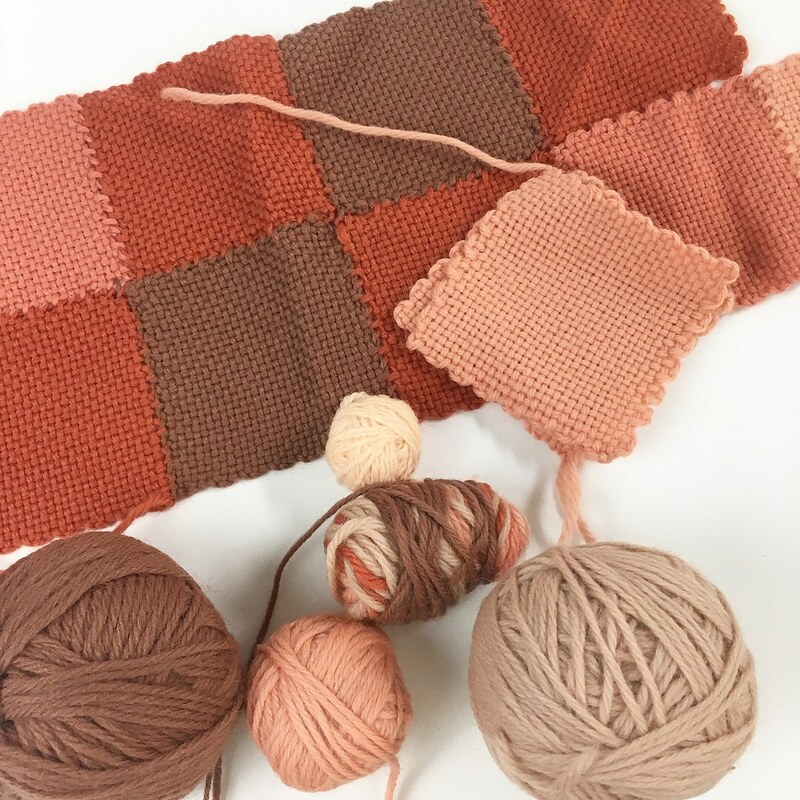 That's the simple version, but you can find tons of patterns to make different versions with multiple colors and textures. 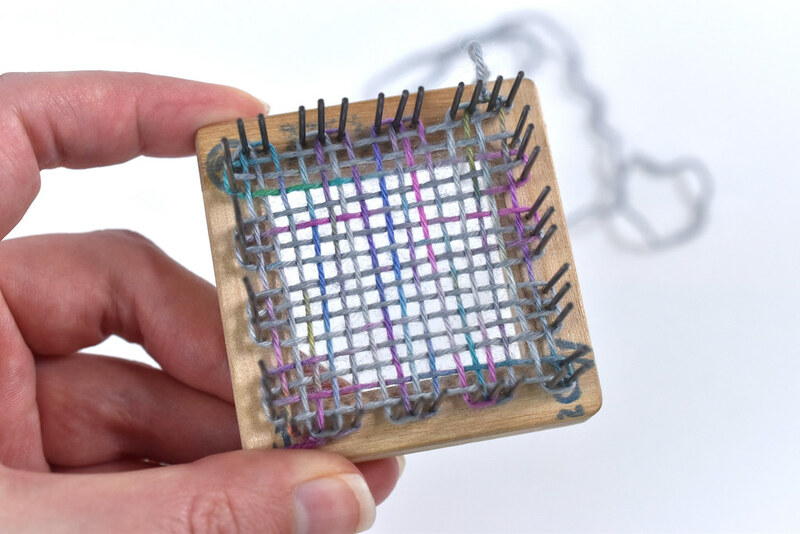 ...and you have a woven square! You can see how much it relaxes and the warp and weft comes together. It's still much more open than it should be, but hey...this was a test. My favorite thing from my first (or possibly my second?) square is that you can spot a little heart in the corner. Maybe because I think I love these squares and can't wait to make more and learn how to join them next! You can hear me talk about these fun tools and more in episode 8 of the Very Serious Crafts Podcast. 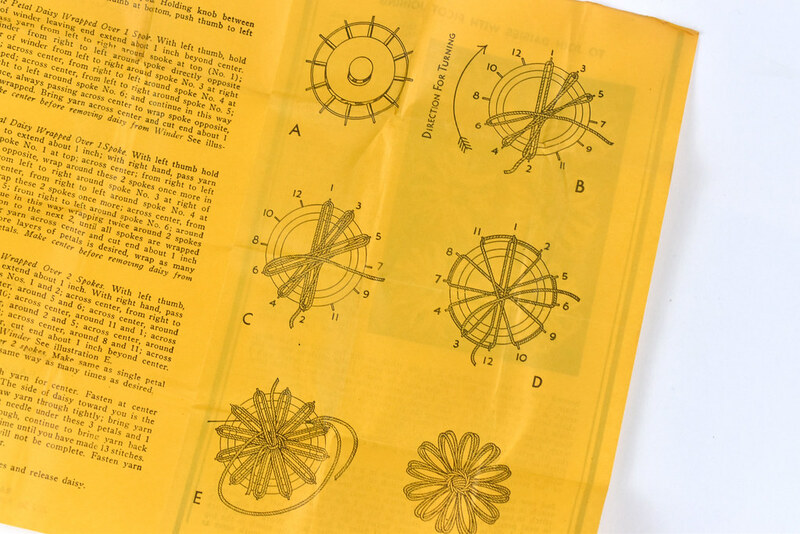 You'll find some pin loom links in the show notes too! Wow, this brought back memories! I used to have all of these, they were so much fun. Wonder what my mom did with them?